A TAXI driver once told me about a female passenger in her 30s who wanted a ride from Resorts World Sentosa to Braddell, and back again. She wanted to borrow money from a loan shark so she could play more at the casino. He advised her not to gamble so much. "Uncle, don't say the word gamble. I'm investing," she told him, much to his dismay. Are games of chance a form of investing? That is, are they likely to yield favourable returns over multiple tries in the long term, as the woman thought? To answer this question, and dispel a perilous misconception, we use an example from a popular Singaporean gambling pastime: the 45-year-old Toto draw. On Feb 22, this lottery draw operated by Singapore Pools conducted its annual hongbao draw, with a top prize of $10 million. The buzz around this particular draw every year is such that people are willing to stand in line for half an hour or more to get a shot at instant wealth. But the more they buy, the more they are likely to lose. In probability terminology, the net expected return on a lottery ticket is negative. Toto was first launched by government-run lottery operator Singapore Pools in May 1968. It is based on a popular lottery game in Europe, and was introduced to Singapore by Bulgarian experts. A basic bet costs $0.50. The punter fills out a form to choose six numbers out of a possible 45. The numbers cannot be repeated, and can be in any order. The minimum bet amount is $1. This can buy two bets in a single draw, or one bet in two draws. 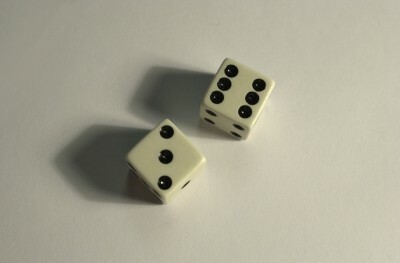 The computer can also help choose a randomly generated set of numbers in a bet known as quickpick. Draws take place twice a week. Six numbers, plus an additional number, are picked from 1 to 45. Out of total ticket sales, 54 per cent is paid out as prizes. Those who match all six numbers win the top prize. Smaller prizes are given to those who match five numbers and the additional number, five numbers, four numbers and the additional number, four numbers, and three numbers and the additional number. The total number of combinations of six numbers out of 45 is 8,145,060. This is calculated by the mathematical function "45 choose 6", or (45 x 44 x 43 x 42 x 41 x 40) divided by (6 x 5 x 4 x 3 x 2 x 1). Out of these eight million possible ways to choose six non-repeating numbers out of 45, only one set of six numbers will win the top prize. Hence the chance of winning the top prize is one in 8,145,060, or 0.0000123 per cent. How does one judge whether a Toto ticket is an economically reasonable buy? When dealing with potential payoffs with various probabilities, a calculation often used is that of expected returns. All future money-making or money-losing scenarios, along with their probabilities, are laid out. The payoff for each scenario is then multiplied by its probability, until all possible scenarios are accounted for. For example, take a game where you pay $60 for a single coin to be flipped once. The coin has an equal chance to come up heads or tails. If the coin shows heads, you get $100 back. If the coin shows tails, you get $20 back. Would you pay to participate in this game? To find out, calculate the expected return of the coin toss under two scenarios: heads and tails. For the heads scenario, the expected return is $100 multiplied by 50 per cent, or $50. For the tails scenario, the expected return is $10 after you multiply $20 by 50 per cent. The expected return of the game is thus $50 plus $10, or $60. It is thus fair to pay $60 to participate in the game - but you do not have any advantage. In the long run, the money you win will be balanced out by the money you lose per game. But if it costs less than $60 to play the game, say $50, a rational person with sufficient capital would want to play. This is because in the long run, with many coin tosses, the person would come out ahead by $10 per game. Conversely, if it costs $70 to play the game, it is not worth playing. One might get lucky and make money on a heads toss, but in the long run, the outcome will be skewed towards losses, with a loss of $10 per game played. Gambling games are almost inevitably loss-making in the long run, despite the promise of one-time lucky gains. Toto, for example, promises a minimum of $500,000 as the top prize. Assuming that is the only prize paid out, and only one winner, the expected return of a single Toto bet is 0.0000123 per cent times $500,000, or $0.06. That means you get 6 cents back for every 50 cents put in - hardly fair. What about the $10 million hongbao draw? Multiplying $10 million by 0.0000123 per cent, times gives $1.23. At first glance, it seems like every $0.50 spent is a mathematically justified investment as there is a positive net expected return just on the jackpot alone. The problem is, the larger the jackpot, the higher the chances of multiple winners getting the right combination and thus causing a prize split. Last year 10 winners shared the jackpot. This year, nine winners shared it, taking home $1.1 million each. This year, the return per $0.50 bet is no longer $1.23, but $0.14 - not a fair bet. What if one considers the various non-jackpot prizes offered in the Toto draw? The Singapore Pools website lists out all the prize amounts and the number of winners for each draw. If one considers the possibility of winning all the prizes out there, the expected return per $0.50 bet for the Feb 22 hongbao draw is $0.32 - still not a fair bet. This means that if one keeps on playing similar $10 million hongbao draws, one is only likely to get 32 cents back out of each 50 cents spent. And that is only if you play the game hundreds, thousands, or millions of times. The long-run rate of return is a negative 36 per cent. This is all theory. What if the would-be Toto investor bought tickets in bulk? Do the results match up to the statistical predictions? BT bought 80 $1 randomised Toto tickets for the Feb 22 hongbao draw as an experiment, or 160 sets of six numbers. No prizes were won, but the spread of numbers that matched the winning set was remarkably close to what was predicted by probability calculations. For example, 21 sets of numbers matched two winning numbers, or 13.1 per cent of the 160 bets made, close to the 13.6 per cent predicted by math. Given the odds to win $20, one would have to buy 579 tickets before one is theoretically assured of winning $20. Spending $290 to win $20 hardly sounds like a reasonable investment strategy. What if you bought every combination? To win the $10 million jackpot, one would have to buy 8.15 million tickets to ensure success. This means buying a ticket for every possible combination. Assuming the logistical hurdles to doing this are overcome, the tickets would cost $4.07 million and add about $2 million to the prize pool. Assume it takes five seconds to fill up a ticket. Filling all 8.15 million possibilities will thus take 11,300 hours. Hiring people to do this at $5 an hour will cost you $56,500. Together with ticket costs, the total cost of this endeavour is $4.13 million. But given that you share the enhanced jackpot with nine other winners, your share is just $1.1 million. As you bought every combination, you will have won prizes in every category. For example, 14,060 tickets will win the "three numbers plus an additional number" prize, giving you $281,200 of prize money. Your total prize money is $2.6 million. But you would have spent $4.1 million, so your net loss is $1.5 million. Buying Toto is thus not an investment opportunity, even if you took the trouble to buy every single ticket in the annual hongbao draw and got an army of low-wage workers to help you. Lottery purchases are thus called a "stupidity tax". How can buying it be a rational financial decision, then? One way is to treat the game as an entertainment expense, much like one would spend on a movie ticket or a roller-coaster ride. The purchase would be rational if one buys a lottery ticket instead of going to the movies, and spends less on the lottery than the movie. But the money can be better spent. The time spent queuing for a ticket can easily go into studying one's investment options. Blue chip stocks in Singapore, for instance, have a 5 per cent rate of return for the last 10 years. Compounded over a decade, one's gain is 63 per cent, versus an expected negative 36 per cent return for playing Toto. Ultimately, given the popularity of government-run lottery games, one thing is clear. The house knows its expected return calculations, and it always wins. Without accounting for operating expenses, calculations show Singapore Pools earned $19 million from the Feb 22 draw, after prizes were paid out. It makes millions of dollars every week from the Toto draw alone. It is just as well that its main purpose is to donate profits to charity, education, arts and culture, health, community development and sports initiatives. Otherwise, if Singapore Pools was a listed company, it would be a "buy".